We wish all children, parents and staff a very pleasant holiday and look forward to seeing you all back at school on Monday 05 June 2017. Today the children and staff in our school are wearing Mufti to support UNICEF UK’s Day for Change. Their voluntary donation of £1.00 will help UNICEF’s vital work. By taking part in this important event, we can help UNICEF protect children in danger around the world. 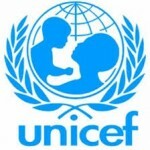 UNICEF, the United Nations Children’s Fund, is the world’s leading organisation working for children and their rights. They work with families, local communities, partners and governments in more than 190 countries to help every child realise their full potential. UNICEF supports children by providing protection, health care, nutrition and education. To find out more information about UNICEF, please visit www.unicef.org.uk. 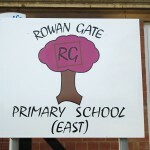 We are delighted to announce that Rowan Gate Primary School will gain be taking part in this Festival which is being held at the Derngate Theatre in Northampton on Wednesday 14th June at 7.00 p.m.